For a new take on an old genre, we go to 2015’s crime thriller 7 Minutes. Desperate for money, old pals Sam (Luke Mitchell), Mike (Jason Ritter) and Owen (Zane Holtz) become drug dealers. When he thinks cops tail them, ex-con Owen panics and flushes their supply. This leaves the guys in debt to drug kingpin Doug (Chris Soldevilla), someone who doesn’t forgive mistakes. To pay off Doug, the guys find themselves forced to stage a robbery. They plan this to be a quick operation in which they should be in and out in seven minutes. Inevitably, matters don’t progress as planned. Imagine a Tarantino movie without interesting characters or clever dialogue and you’ll know what to expect from 7 Minutes. First-time director Jay Martin comes from the world of music videos, and he also worked as a storyboard artist on big flicks like I Am Legend and Amazing Spider-Man 2. Given that background, I’d expect 7 Minutes to present a vibrant visual experience, but that doesn’t occur. Rather than create something exciting and dynamic, Martin mostly just embraces cinematic clichés – when he even bothers to attempt any form of panache. Much of the film provides little style, and Martin’s attempts at “flair” feel stale. How many times can we suffer through dialogue scenes shot via spinning camera? Even when 7 Minutes doesn’t steal from the Michael Bay playbook, it just feels stagnant and misbegotten. Non-linear storytelling can work, but it’s not easy to pull off, and Martin – who also wrote the screenplay – can’t make it work. Most of 7 Minutes comes to us via flashbacks. It starts with the heist but spends most of its time with segments that show how all involved – and connected characters – got to that point. Maybe someone more skilled could pull off this motif, but in Martin’s hands, it flops. The non-linear path feels like a crutch more than anything else, as though Martin figured the tale’s jumps and skips would obscure its inherent lack of substance. This doesn’t work. The movie’s characters seem bland and anonymous, without much to make them distinctive beyond standard stereotypes. A psychotic drug lord? A former high school star athlete down on his luck with a pregnant girlfriend? That’s the best the story can do? All of this results in a flick packed with clichés and without much cinematic merit. 7 Minutes delivers a trite, messy experience that falls flat. 7 Minutes appears in an aspect ratio of approximately 2.40:1 on this Blu-ray Disc. The film came with a good but not exceptional transfer. In terms of sharpness, exteriors excelled and displayed terrific definition. Interiors seemed less consistent, though, and could be a bit mushy. Still, overall delineation was positive. No issues with jagged edges or moiré effects appeared, and I saw no edge haloes or print flaws. Should you expect anything other than standard issue orange and teal from 7 Minutes? Not really – like most other movies made these days, those tones dominated. While unexciting, the colors came across as intended. Blacks were dark and deep, while shadows were mostly fine. Though the occasional slightly murky interior occurred, most showed appropriate clarity. Overall, this ended up as a mostly good presentation. Similar thoughts greeted the generally positive Dolby TrueHD 5.1 soundtrack of 7 Minutes. Other than a few action moments, general ambience dominated the film. The mix allowed the material to seem appropriately placed and blended; not much that I’d call exciting occurred, but the soundscape worked pretty well. No issues with audio quality materialized. Speech remained concise and crisp, and music showed nice range and vivacity. Effects also came across as accurate and dynamic. The soundtrack suited the story. Linear Heist runs 17 minutes, 44 seconds. 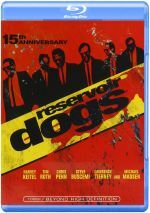 It offers exactly what it promises: the movie’s heist scene presented in chronological order, without all the edits/flashbacks that come in the final film. This becomes an interesting curiosity. Storyboards to Scene gives us eight minutes, 44 seconds of material. We see the final film in the top half of the screen and the storyboards fill the bottom. This allows us a decent comparison for a few sequences. The disc opens with ads for Any Day, Bad Turn Worse and Just Before I Go. No trailer for 7 Minutes appears here. Heist movies can be entertaining, but 7 Minutes flops. It comes with dull characters and no sense of tension, as it just subjects us to clichés. The Blu-ray offers pretty positive picture and audio as well as some minor supplements. 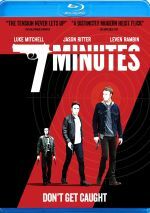 Perhaps writer/director Jay Martin will do better with his second movie, but 7 Minutes becomes a disappointing debut.